Germany's largest provider of amateur radio products announces the acquisition of the Italian antenna manufacturer Ultrabeam. 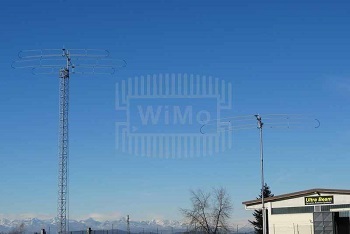 The company WiMo Antennen und Elektronik GmbH (Herxheim) will take over the manufacturing, the tools and the trademark of the Italian manufacturer of short-wave antennas, 'Ultrabeam' in Villanova d' Asti (Italy). Ultrabeam has been manufacturing electrically adjustable short-wave directional antennas for over 10 years. The antennas are used internationally by discerning radio amateurs and commercial radio services for worldwide voice and data connections. Volkmar Junge, Managing Director of WiMo GmbH explains: "Ultrabeam has always impressed us with its extremely high quality standards. When the possibility of acquisition became known, I decided without much hesitation to buy the company." WiMo will continue the production of the Ultrabeam antennas with the existing tools and design documents in the usual high quality. The product range will largely remain unchanged. In a training course lasting several days, the Ultrabeam associates will introduce WiMo employees to the secrets and special features of production of the antennas. Production will move from Villanova to Herxheim in December 2017. Volkmar Junge: "With this acquisition we are setting the course for WiMo for the long term. The company growth has been slow and steady in recent years, now we are taking a big step forward. By bundling production and sales we will be able to plan the manufacturing much better and reduce lead times." In addition to manufacturing, WiMo will handle sales and distribution of Ultrabeam antennas, also internationally. Only in Italy, a local sales team will continue to serve existing and new customers in the country (antennahub.it). Due to the relocation from Italy to Germany, production will be interrupted at the beginning of 2018. Antennas manufactured in Germany will be available from the end of the 1st quarter 2018. WiMo had already been able to purchase the neighbouring building in autumn, thus increasing production and storage capacity by more than 50%. "A lot of additional space, which we now can make good use of” the managing director of WiMo is pleased to report.